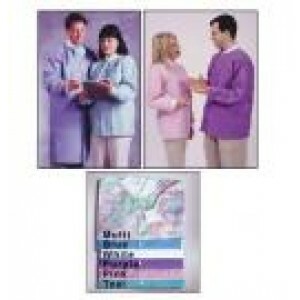 These knee-length disposable lab coats are made from soft, three-layer SMS fabrics. They are fluid-r.. Lab Jackets Purple Large 10/Bag Large 10/Pk Purple ..
Large 10/Pk Sky Blue Product Name Lab Jackets Manufacturer Hou.. Lab Jackets Sky Blue X-Large 10/BagX-Large10/PkSky BlueProduct NameLab JacketsManufacturerHouse Bran..